Aamnah Hussain, psychologist at the German Neuroscience Center, speaks to Gulf News as an expert for garden therapy. Here a short snippet from the original article published in Gulf News. “Psychologists say horticultural therapy, or garden therapy, can improve people’s emotional, physical, and cognitive health. Aamnah Hussain, a counselling psychologist at German Neuroscience Centre, Dubai, said, according to studies, horticultural therapy reduces physiological stress by lowering blood pressure and reducing muscle tension. “Participants often experience gardens and planted areas as safe, non-threatening settings that are quite distant from the stress-inducing environments and situations of life,” she said. She also said that gardening activity is beneficial. 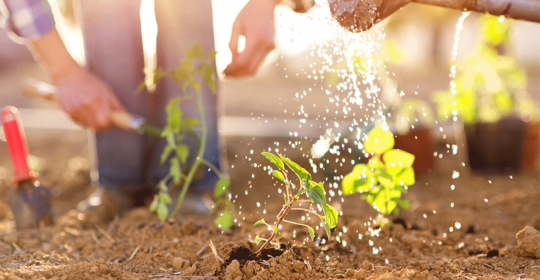 “The simple sense of accomplishment and feeling of contribution that comes from straightforward tasks of gardening can improve mood and self-esteem.